Internet TV provider Zattoo will introduce a recall TV function in Germany enabling viewers to watch selected programmes of free-to-air channels DMAX, TLC, joiz, Family TV and blizz up to seven days after their TV broadcast in full length. The recall function will be offered on further TV channels in the next months. With the free-of-charge, advertising-funded service, Zattoo wants to combine real-time linear television with time-shifted television. 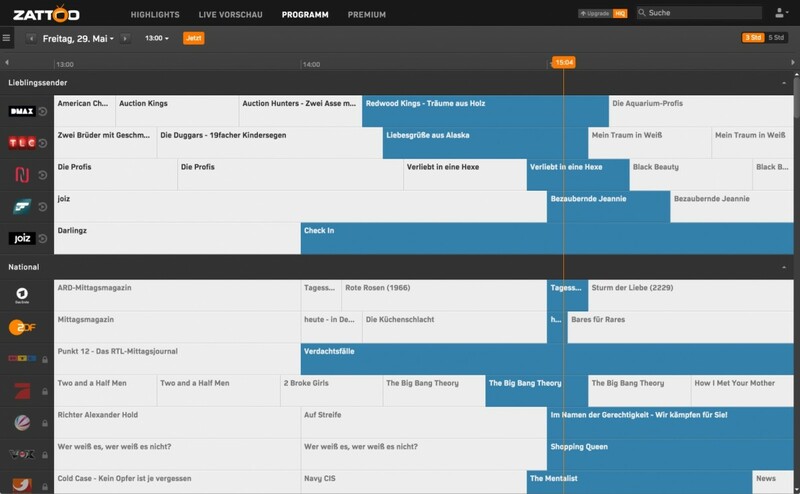 Viewers will be able to select the desired programmes through the search function or by moving back to the previous days on the EPG. Zattoo Recall will be gradually introduced across all Zattoo applications in Germany. By mid-June 2015, users will be able to access the time-shifted contend via PC/Mac, Windows, iPhone and iPad. The function will then be added to the Android app and the apps for connected TV sets and streaming boxes.